Drinking water is good for your health. Drinking good water is even better. This exceptional purity makes it an ideal choice for the health-conscious. Water cleanses, hydrates and rejuvenates the body, removing toxins, replenishing vital fluids and refreshing the skin and palette. Lauretana water, with its fixed residue of 14 mg/l, low sodium and slightly acid PH of 6 is an optimum source of hydration and aids the body in thsese important functions. A water’s ‘index of lightness’ refers to the residual solids remaining (in mg) after one litre of water is boiled to 180 degrees. The lower the fixed residue, the lighter the water. 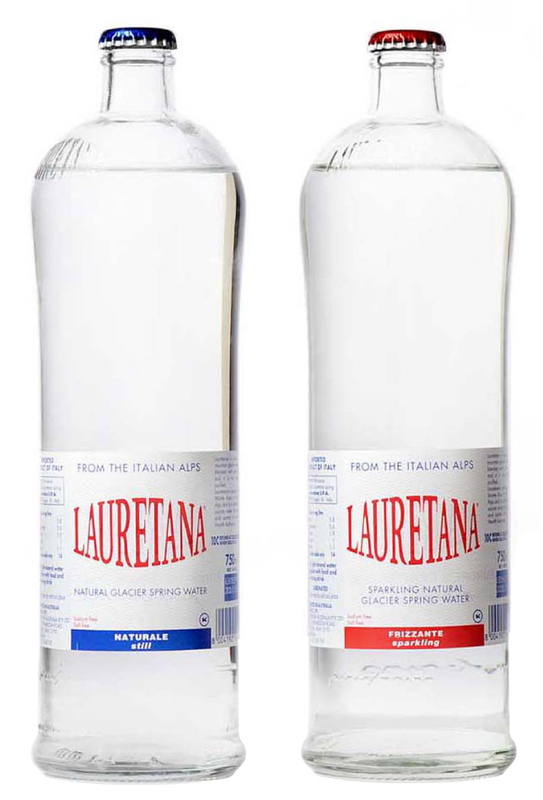 Lauretana’s fixed residue of 14mg/L has lead to its classification as the lightest European mineral water. The low fixed residue aids the process of diuresis and water replacement enhancing hydration and the removal of toxins from the body. PH level indicates the extent to which a chemical is acid (PH of below 7) or alkaline (PH above 7). Lauretana’s slightly acid PH of 6 reduces the process of oxidation within our bodies, slows cellular aging and aids the digestive process making it an excellent accompaniment to a meal and as important to your youthful complexion as daily moisturiser. Lauretana’s extremely low sodium level of just 1.2mg per litre means that the FDA classifies it as essentially salt free. Not all mineral waters are the same, some have naturally high level of sodium from the source and sometimes sodium is added as part of processing. Tap water, especially hard water, can also have high levels of sodium present, not to mention a whole range of contaminants. Lauretana’s classification as salt free makes it an ideal choice for those on low-salt diets, with high blood pressure or those with concerns about the chemical properties of the water they put into their bodies every day. Lauretana water’s ionic composition classifies it as bicarbonate and rich in calcium. Bicarbonate-calcic waters are more diuretic than sodic waters, having beneficial effects on the liver and digestion as well as reducing water retention. The cleansing and hydrating properties of Lauretana water as well as its purity and lightness make it an ideal refreshment as well as being a perfect base for infant formula, coffee, teas, homeopathic remedies and food supplements. Many hospitals and leading health professionals in Lauretana’s native Italy recommend the water for its many health benefits.